As we are sure you know, this week is National Afternoon Tea Week, a week-long celebration of this quintessentially British tradition. Frankly, we need no excuse to settle in for three tiers of afternoon tea goodness and would happily book in for afternoon tea on any given week. The 5pm Afternoon Tea page makes it easy to find and book afternoon tea offers in your area. 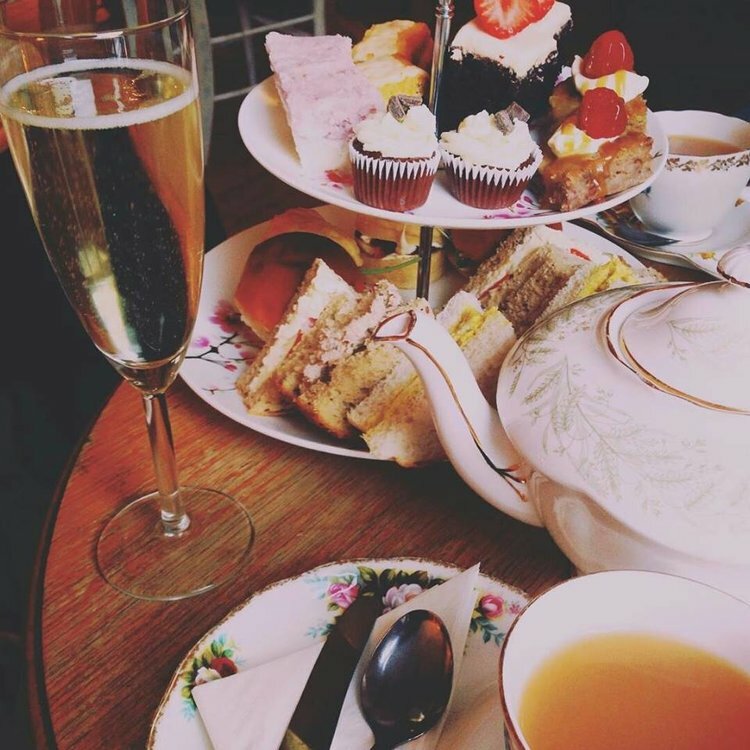 Today we have a small sample of Glasgow venues that do a splendid afternoon tea. Tomorrow, we’ll have some Edinburgh suggestions. Hello sunshine! The terrace at Art Lover’s Cafe. Part of the Charles Rennie Mackintosh-designed House for an Art Lover in Bellahouston Park, Art Lover’s Café is a picturesque spot for afternoon tea. The kitchen likes to work with Scottish produce and, if the weather is benign, there may be the opportunity to enjoy your afternoon treat on the garden terrace. 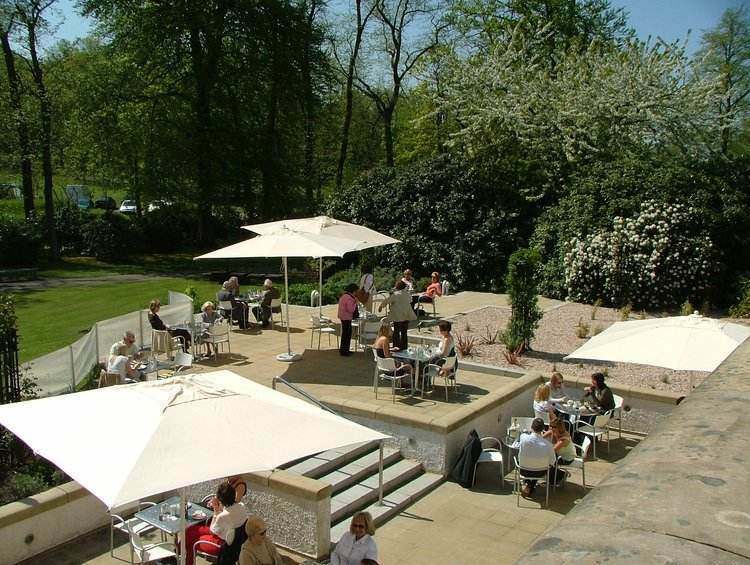 £8.95 per person for afternoon tea at Art Lover’s Café. The Salon at Blythswood Square. 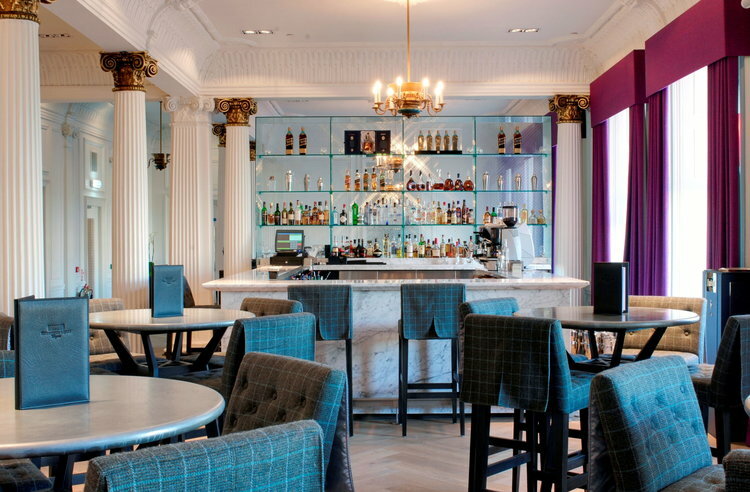 Rated one of ‘the best bars in the world’ by Class Magazine, The Salon is on the first floor of Blythswood Square hotel and has views over the garden from which the hotel takes its name. Afternoon tea in The Salon is after the Duchess of Bedford who is credited with inventing the tradition. Look out for menu items like the raspberry and candy floss cone or the mini brioche roll filled with egg mayonnaise. The Salon also offers a Little Darlings Afternoon Tea for the younger (under twelve) ladies and gentlemen of Blythswood Square. £28 for the Duchess of Bedford afternoon tea at the Blythswood Square Restaurant on 5pm. Afternoon tea at The Hidden Lane Tea Room. This cosy Finnieston tea room is highly rated by 5pm customers. Wobbly tables, piles of recipe books and bunting on the walls give it a homely and welcoming atmosphere. The day’s freshly baked cakes change regularly but previous offers have included pecan pie, mojito cup cakes and blueberry pavlova, all of which are proudly presented on cake stands around the cafe. £12 for traditional afternoon tea at The Hidden Lane Tea Room. There are plenty more afternoon tea offers in Glasgow on 5pm.